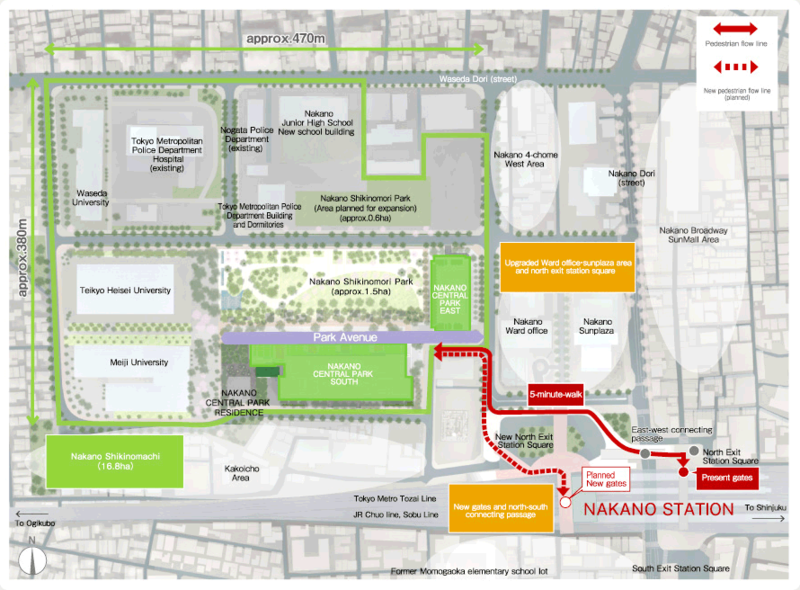 Nakano Ward is redefining itself as “the new energized active location in Tokyo,” and is engaged in various development plans to make this a reality. As its focus is the upgrade of a vast 16.8-hectare redevelopment area with two large-scale office buildings, Nakano Central Park South/East. Nakano station, which connects to all areas of the city and the country via Japan Rail and the metro, is also undergoing an extensive reconstruction. * This drawing is based on the “Grand Design of Nakano Station and Surrounding Area Ver.2,” “Development Vision of Nakano Station District,” and “Nakano Station Area Basic Upgrade Plan,” and may change in the future. The two new large-scale office buildings will aid Nakano’s rebirth as a city of thriving business. Meanwhile, the north side of the redevelopment will be clustered with public facilities. Infrastructure will be revamped to support the influx of businesses. 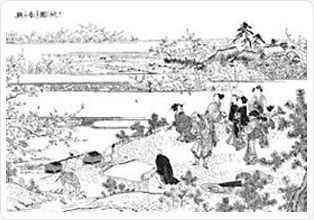 In Edo times (1603-1868) the area of Nakano developed as a central provider of food for the city, as well as a channel for goods distribution. 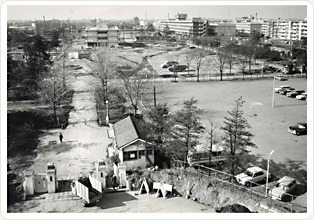 In the modern era, its proximity and transport links to central Tokyo made it an ideal residential district. 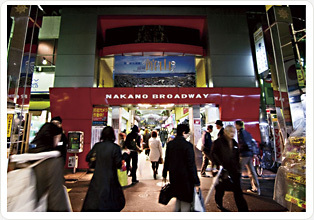 Now, Nakano has something of a counter-cultural reputation, with the Nakano Broadway shopping center a beacon for local and international enthusiasts alike.